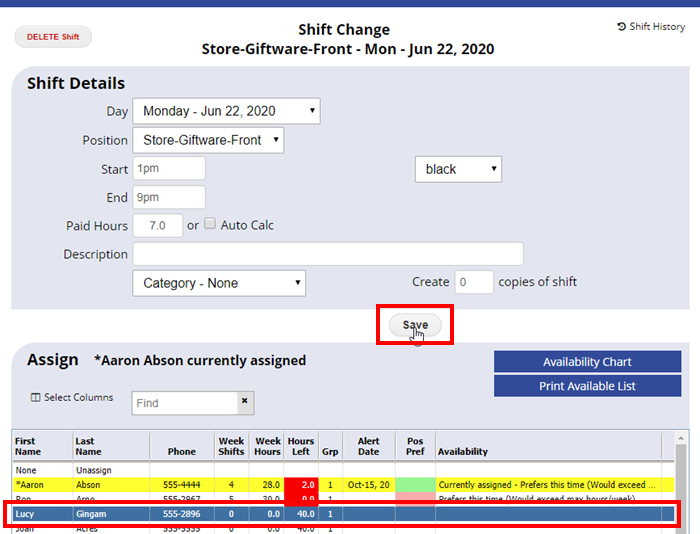 AutoFill is generally the best way to assign employees to your shifts but if you want to manually place employees into shifts, you can do so at any time by simply clicking the shift anywhere in the system. 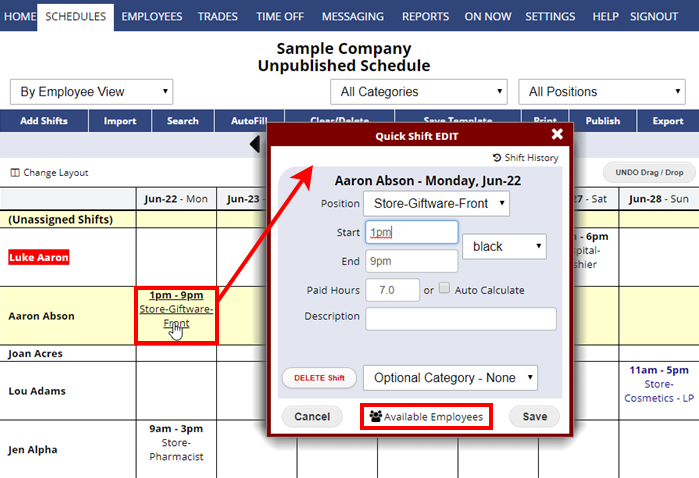 Or if certain employees always work certain shifts (“Pinned Employees“), you can pre-place them and then use Save Template to save the schedule with those shifts already assigned – in later weeks, you can Import the Template and then only AutoFill the open shifts, leaving the pre-placed employees in their time slots. In the the bottom section of the window, click the Employee name. (Employees are listed by availability and work time preferences – if you know which employee you want, it may be easier to find them by starting to type their name in the “Find” box).